The Actron CP9690 is a scanning tool suitable for both normal users and professionals. It has certified fixes that help you fix your car’s errors by yourself. 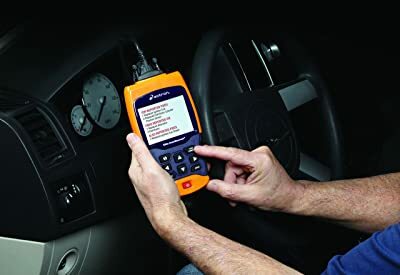 The CP9690 is useful even for mechanics as they save time for diagnosing a car. It is a comprehensive scanner that can scan a plethora of vehicle models. The CP9690 Actron has a decent display screen which clearly shows all the information you require. Information is also shown in a graphical format or a digital format to suit your preference. 3 Who Should Buy It? Actron CP9690 is compatible with all OBD II protocols. This renders it compatible with most vehicles that are OBD II enabled. These are vehicles manufactured during or after the year 1996. The device can also work on Ford and GM vehicles manufactured between 1984 and 1995. Actron CP9690 is compatible with all OBD II protocols. Additionally, it works on Chrysler and Toyota vehicles manufactured from 1989 to 1995. Actron CP9690 connects to your vehicle via a wire. This wire links to the OBD II data link connector on your vehicle. This connector can be found on the dash or under the handbrake. The Actron CP9690 has an LCD color display. This display implements the use of several colors to convey information in an informative yet appealing manner. This makes the product appealing to a larger number of people. Actron CP9690 display makes use of graphs to display information. This helps you monitor the tendencies of your vehicle as you go. The display, although fully functional, is rather bland. The backlight, for example, is constantly white. It lacks color or vibrancy making it dull. 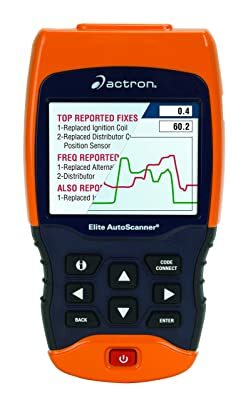 The software in the CP9690 Actron is designed by Actron. 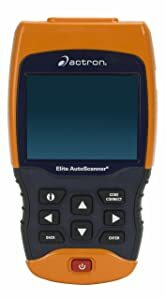 It provides the user with a plethora of diagnostic tools at the click of a button. These diagnostics tools scan the vehicle and increase the accuracy of the scan. It provides the user with a plethora of diagnostic tools at the click of a button. When you purchase Actron CP9690, you get a lifetime of free software updates. To update your device, first, connect it to your computer via a USB cable. Then, download the software update on your computer and upload it to your device. A software update makes sure your device stays up to date with the latest software patches and bug fixes. It also updates your device with even more diagnostic tools. This is the prime software that comes with the Actron CP9690. CodeConnect gives you all the potential fixes to the error codes that you might have. These fixes come from experienced professionals such as mechanics. CodeConnect is a database that has millions of verified fixes for error codes on your Engine system, SRS, and ABS systems. The fixes on CodeConnect were reported by established mechanics. To make sure these fixes were legitimate, the ASE certified technicians from Actron verified them. This means you get access to verified information on how to fix your car. With such information, you can easily fix your car yourself thus saving time and money. This is another important feature in the Actron CP9690. Most OBD II scanning systems struggle to identify the make and models of vehicles. To remedy this problem, CP9690 Actron has AutoID. AutoID can accurately identify the model of the vehicle after being connected to it. It works on vehicles produced during or after the year 2000. The benefit of AutoID on Actron CP9690 is you are assured of vehicle-specific error codes. Moreover, you are guaranteed of manufacturer-specific fixes. The Actron CP9690 comes with three languages pre-installed. Besides English, the other languages are Spanish and French. This increases the customer base for the CP9690 Actron to a global scale. When analyzing your vehicle, the device charges via the data link cable. However, if you need to review the information remotely, you get a battery back-up. This means you can access your diagnostics information at any time from any place. The CP9690 comes with a Component locator. This helps you know where you can find a specific component in its particular system. The main purpose of CP9690 as an OBD II diagnosis system is to diagnose the vehicle systems. For this reason, Actron CP9690 has several tools to enable it to perform accurate vehicle diagnosis. It can diagnose the engine system. This makes it essential for detecting and remedying the cause of engine check warning light. After performing a diagnosis on the particular vehicle system, it reports the error found. Then, the device gives you all the potential ways to fix the error. This is enabled by its CodeConnect feature. The fixes are given in descending order to help you choose the fix that best suits your interest. Vehicle diagnostics is not limited to the engine system as Actron CP9690 can perform diagnostics on ABS and SRS systems. Once you connect the CP9690 and run its diagnostics, it presents the issues with your car in the form of error codes. You can easily clean minor error codes by using the device. The major error codes, however, require a mechanic for repairs. Actron CP9690 comes with full of connectors and cables. The device helps you maintain an accurate maintenance schedule. It resets both oil and battery reset lights for most vehicles. It records live data which you can play later. It comes in three languages. It cannot give fine voltage readings.